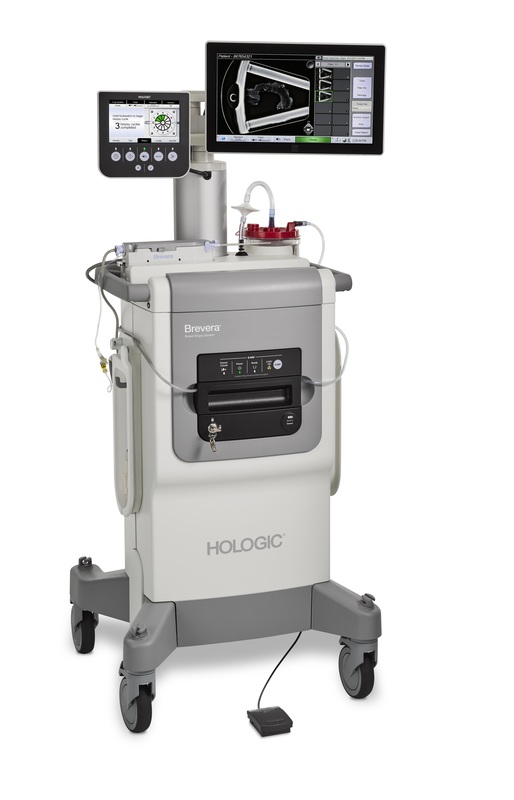 Hologic has launched its Brevera® breast biopsy system in the United States. This real-time breast biopsy and verification system using CorLumina® imaging technology is designed to enhance workflow, streamline the biopsy process, and improve a patient’s experience. The Brevera system combines tissue acquisition, real-time imaging, sample verification and advanced post-biopsy handling in a single integrated system. Designed for 2D and 3D breast biopsy, Brevera enables physicians to perform fast, efficient, and cost-saving procedures. Radiologists are able to obtain and image tissue samples in the procedure room in just a few seconds, potentially saving up to 10 minutes per patient and reducing the procedure time by up to 25%, according to Hologic The delivery of information at the point of care is designed to increase biopsy accuracy,thus enabling clinicians to make informed decisions with confidence in the biopsy suite. Hologic states that CorLumina imaging technology is designed to help enhance workflow across multiple departments within a health system. It automates the tissue sample collection and separation process, allowing patient tissue to be sent to a pathology lab with little or no manual handling to protect the integrity of samples. The system also features PAS integration. The Brevera system is designed for use with Hologic’s Affirm® prone biopsy system, Affirm® breast biopsy system, and MultiCare® Platinum system, as well as most upright and prone systems that are commercially available in the United States. Hologic introduces new breast biopsy system. Appl Radiol.